A co-op is different from a condominium only in its legal and financial form. The essential idea of ownership is the same, but, instead of being simply "an apartment you own," you are purchasing shares of stock in a legal entity, usually an Illinois corporation that owns the real estate. Along with the shares, you receive a proprietary lease that entitles you to occupy a certain unit. Instead of a deed, you receive shares,in the corporation. The purchase options differ among co-ops, with a few cooperatives not permitting financing and others restricting borrowed amounts to 50% of appraised or purchase price. Further, banks don't offer traditional mortgages on co-ops, but do have similar loan offerings that provide the same benefits. Built by Benjamin Marshall in 1928 to stand west of The Drake Hotel at 179 E Lake Shore Drive, the popular Drake Tower co-op apartments reflect the trend of modernism at that time. The lobby, however, is in Marshall's favored classic French style with paneling, crystal chandeliers, and period furniture. There are 66 residences among the 27 floors. The first ten floors have smaller one and two bedroom apartments ranging in size from approximately 750 square feet to 1,855 square feet, and from floors 11 to 27, there are only two apartments per floor, each 3,100 square feet with living and dining rooms fronting Oak Street beach and the lakefront. 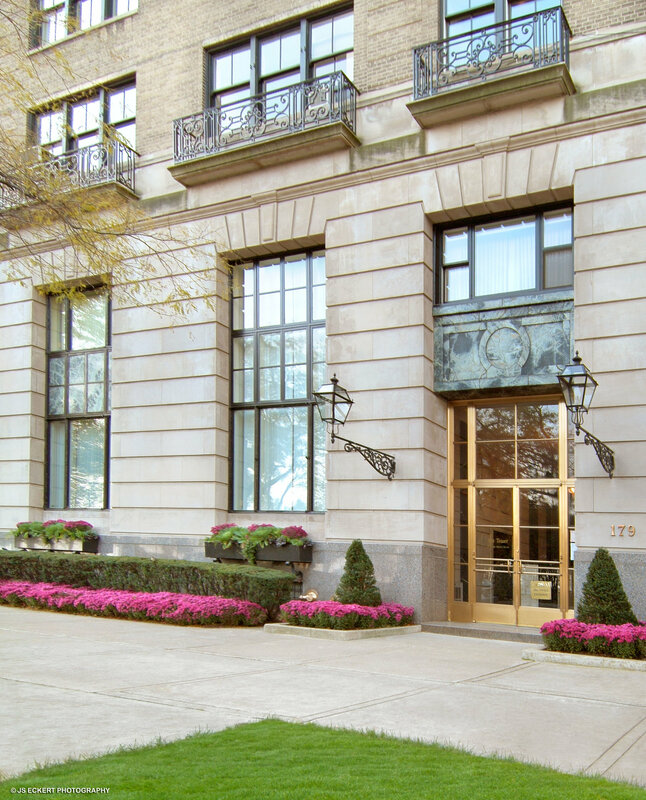 The Drake Tower offers residents white glove service including twenty-four hour door staff, an elevator operator, a live-in engineer,, a full maintenance staff, and an on-site manager. In addition to the fitness room, there is a a private patio just for residents on the mezzanine level that connects the co-op building to the Drake Tower..The on-site parking garage offers valet parking.